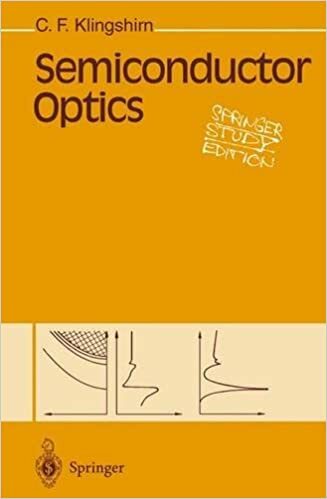 Semiconductor Optics provides an introduction to and an overview of semiconductor optics from the IR through the visible to the UV, including linear and nonlinear optical properties, dynamics, magneto- and electrooptics, high-excitation effects, some applications, experimental techniques and group theory. Mathematics is kept as elementary as possible, enough for an intuitive understanding of the experimental results and techniques treated. The subjects covered extend from physics to materials science and optoelectronics.